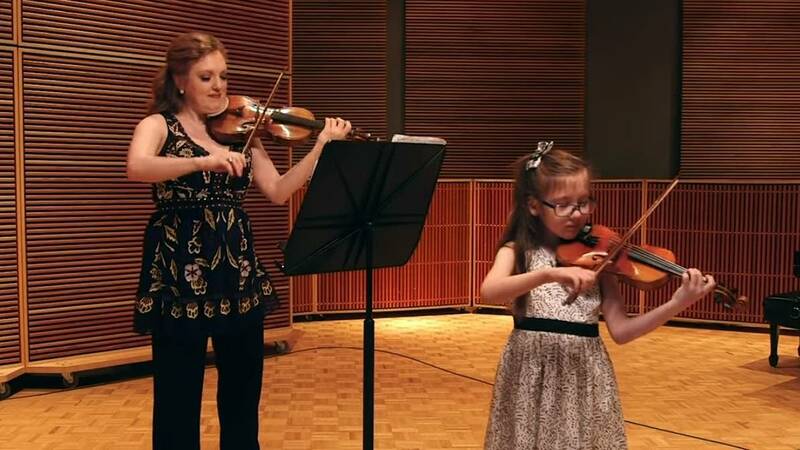 Violinist Rachel Barton Pine plays a duet with the cutest partner ever: her 7-year-old daughter, Sylvia! Watch now as they perform a duet from the book Balada, by Brazilian composer Chiquinha Gonzaga, for Performance Today in our studios. Then check out New Classical Tracks as Pine talks about her connection to the blues and shares some extraordinary music by black composers featured on her latest album, Blues Dialogues. Enter the giveaway for a chance to win the CD! And on Performance Today, Pine shares her concerns about the future of classical music in American society and what she's doing about it.